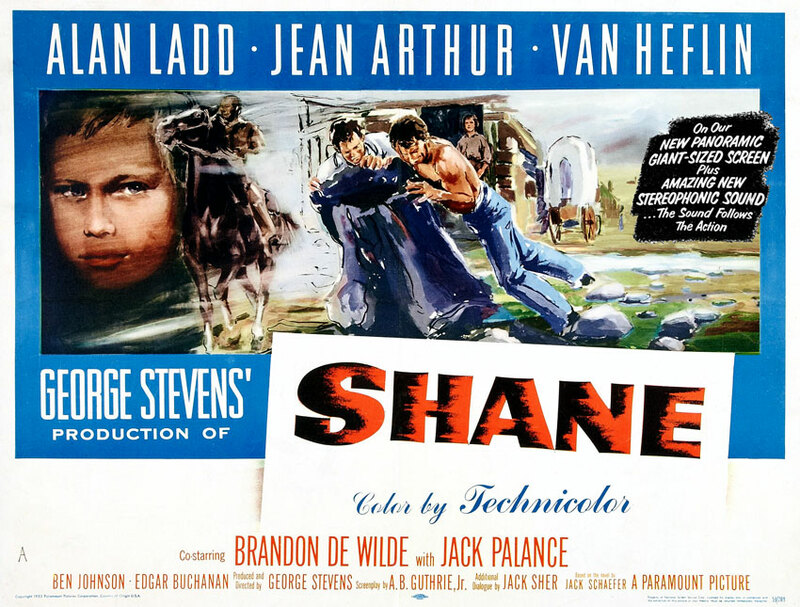 This post is especially for Yohe; did you know that "Shane" was filmed in and released in (for first-run only) a new three-track version of stereo sound? Blew me away when I found out just now. See the upper-right-hand-corner of the advertising poster below. Even the Internet Movie DataBase is wrong on this one. And it was filmed in VistaVision, according to the IMDB.